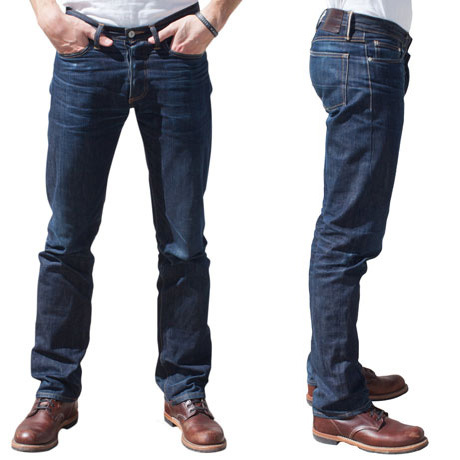 A one-of-a-kind denim that we're rarely able to snag -- it's the Brushed Back Superlight. A hugely brushed back surface creates a fleece-like feel and one of the most comfortable pairs of raw denim you'll find. This is a raw denim experience you'll want to have. 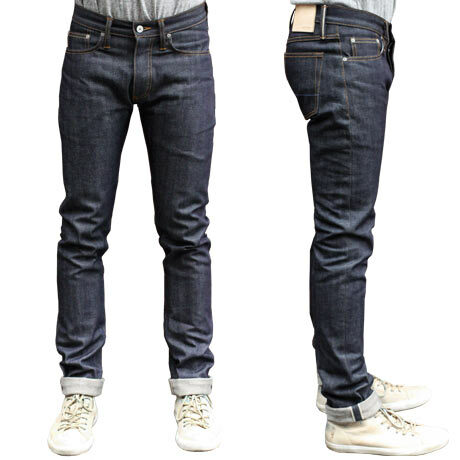 Gustin jeans made from sanforized raw selvage denim from one of the finest mills in Japan. Our super light denim is always a crowd pleaser. 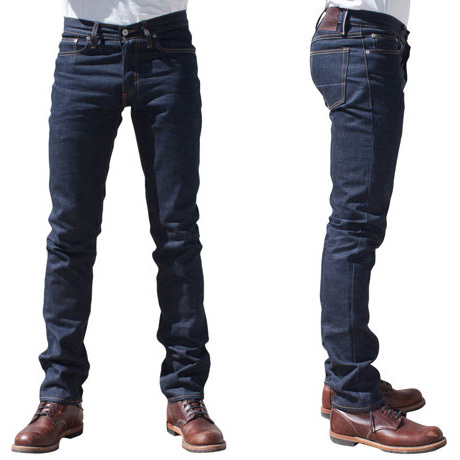 It's nice to have a pair of raw denim that you can wear all year long, from cold to warm. This one may be the ultimate pair. It starts with an incredibly dark blue-black indigo warp. There is strong show through on the white weft which helps give it a classic denim look and serves as nice contrast to the dark warp. At at extra light weight of 9.8 ounces with low starch comfort is already there. It gets better. The back of the fabric is highly brushed. It literally feels like fleece to the touch, which should makes this denim a dream to wear. That extra soft feel on the skin makes a huge difference. We've never found denim with a feel quite like this. If you want go-to super light denim with a rare feel, this is your winner.